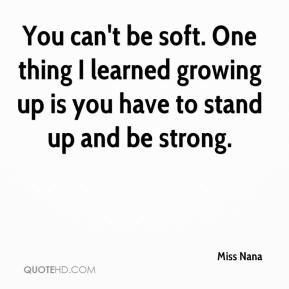 You can't be soft. One thing I learned growing up is you have to stand up and be strong. 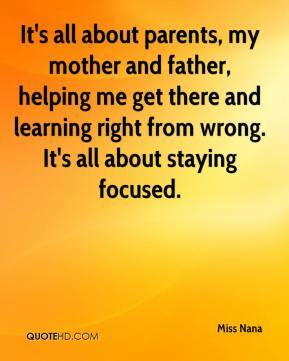 It's all about parents, my mother and father, helping me get there and learning right from wrong. It's all about staying focused.